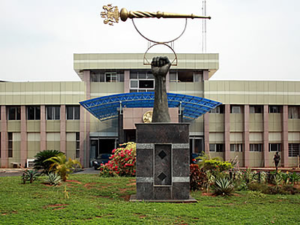 WARRI—Former Vice Chairman, Isoko South Local Government Area, Delta State, Mr Joe Orogun, has described as unfounded, allegations of non-performance levelled against the member representing Isoko south constituency 1, Delta State House of Assembly, Orezi Esievo. Orogun said there was no time Irri community or Ward 10 of the Peoples Democratic Party, PDP, in the area slammed a no confidence vote on the lawmaker. He said leaders of the area will continue to interface with the lawmaker and others on how to attract enduring development to the area. Other leaders of Irri community who also spoke were Mr Benin Ighe, Louis Okogba and Pius Okogba, and they dismissed as misplaced, allegations of non-performance against the lawmaker. “Irri community or Irri Ward 10 never had a misunderstanding with Orezi Esievo and passed a vote of no confidence in her as claimed by Igorigo Excellence,” they said. The post Allegation of no confidence vote passed on Delta lawmaker unfounded —Orogun appeared first on Vanguard News.